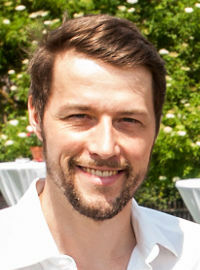 Georg Waltner received a M.Sc. in Telematics in 2014 from Graz University of Technology. He is research assistant at the Institute for Computer Graphics and Vision at Graz University of Technology and pursuing a PhD under supervision of Prof. Horst Bischof. At the moment, his research interest lies in classification of food items with respect to finding optimal embedding spaces and inserting new possibly unseen categories. Besides his occupation at Graz University of Technology he is associate member of Union Volleyball Club Graz, which he voluntarily supports as cash auditor. Our paper Deep 2.5D Vehicle Classification with Sparse SfM Depth Prior for Automated Toll Systems got accepted for presentation at ITSC'18. Our paper BIER - Boosting Independent Ensembles Robustly got accepted for oral presentation at ICCV'17. Our paper Grid Loss: Detecting Occluded Faces got accepted at ECCV'16. Our paper Encoding based Saliency Detection for Videos and Images got accepted at CVPR'15. A full list of my publications can be found in PURE. You can also find me on Google Scholar, ResearchGate or DBLP.